Kitchen should have clean and hygienic surroundings. Visibility of garbage bin in the kitchen may look unpleasant. To hide the bins, we have specially designed trash roll outs. The shelves are fitted with tough steel frames to give support to heavy loads. 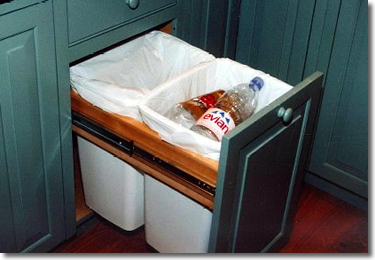 The smooth and easy sliding of drawers lets you throw the garbage without even touching it. 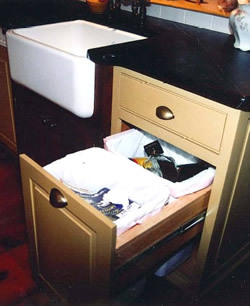 The trash roll-out is designed in a manner to disguise it with other cabinet drawers of the kitchen. We have three types of trash rollouts, designed as per your requirement.